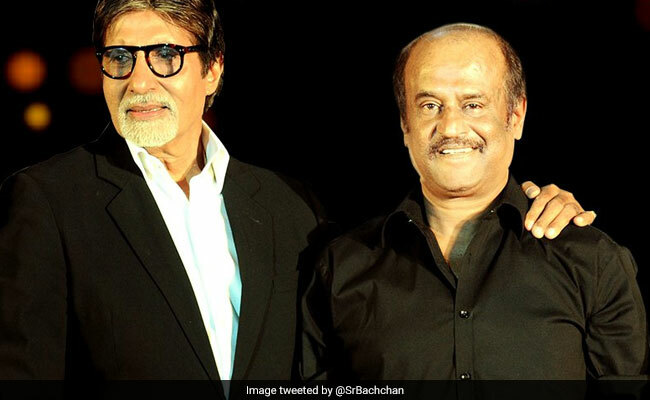 "My dear friend, my colleague and a humble considerate human, Rajinikanth, announces his decision to enter politics... my best wishes to him for his success," tweeted Amitabh Bachchan within hours of the big announcement. Sunday turned out to be a landmark day in the political history of Tamil Nadu with megastar Rajinikanth announcing his foray into politics - the 67-year-old actor announced he would form a new party, saying: "I will do my duty... it is time. We will change the system." While hundreds of fans cheered for Rajinikanth and congratulated him on his political debut, best wishes also poured in on Twitter for the Thalaivar. Kamal Haasan, who recently announced his intention to join politics, also congratulated the Thalaivar on Twitter and so did Bollywood celebs like Riteish Deshmukh, who wrote in his tweet: "He gave his heart and soul to his art form and people's love made him @superstarrajini ... am sure the nobility of his intention will receive as much love, as he announces his political entry. I wish you all the very best and super success sir." Ahead of the big announcement, Rajinikanth had kept his much-awaited decision about his probable entry in politics a major mystery and sent his fans in some sort of frenzy when he declared in May: "If God wills it, I will enter politics tomorrow". On Sunday, Rajinikanth said that his entry to politics is the need of the hour and that he will form his own party in the upcoming elections.